This Policy covers all users who register to use this website (“Strongvox”). It is not necessary to register in order to gain access to the searching facilities of the site, but we may restrict access to certain areas. • This site contains links to other sites. Strongvox is not responsible for the privacy practices or the content of such website. 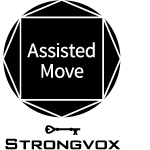 If you choose not to register or not provide personal information, you may still visit the Strongvox website but you will not be able to access the restricted areas available to registered users. By completing the registration process, you accept the Terms and Conditions described and consent to our using your information accordingly. 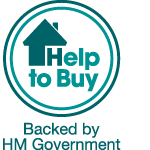 You can review your personal information at any time to ensure it is correct and current. You will be able to update, correct, change or delete inaccurate details. Please contact us. The Strongvox website is not intended for children and we ask that no one under the age of 18 submits personal information to us or uses the site without supervision of a parent or guardian. We have taken appropriate measures to ensure that your personal information is not unlawfully processed. 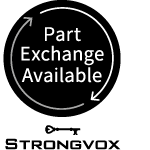 Strongvox uses industry standard practices to safeguard the confidentiality of your personal identifiable information, including “firewalls” and Secure Socket Layers. However, no information transferred over the Internet or wireless network can be guaranteed to be completely secure. We employ many different security techniques to protect such data from unauthorised access by users inside and outside the company. We also use “analytical” cookies which allow us to recognise and count the number of visitors and to see how people move around and use our website. Cookies make it easy for you to find what you are looking for, and blocking or restricting cookies may affect the full functionality of our website. You can manage or block the cookies set by us, or indeed any other website at any time you should want to do so. Cookies can be managed through your browser settings using the ‘Help’ function within your browser. Even if you have consented to cookies you can withdraw your initial consent in the same way at any time. Third Party – Third-party cookies are cookies from other websites – please see below. For further information on how to manage or block cookies on a variety of browsers you can visit www.aboutcookies.org. If you want to manage or block cookies on the browser of your mobile phone you may need to refer to the manual of your handset or your operator’s website. We use a number of service providers who also set cookies on our site on our behalf. If you would like more information about the cookies used by third parties, as well as information on how to opt-out please see below. Third-party cookies are cookies from other websites. We use a number of service providers who may set cookies on their respective websites in order to offer you the services that they are providing. If you would like more information about the cookies used by third parties, as well as information on how to opt-out, please see their individual privacy policies listed below. We use Google cookies to capture the users data anonymously and use it for the purpose of targeting the user with relevant advertising campaign. The users are collated together in one pool which keeps users anonymous.